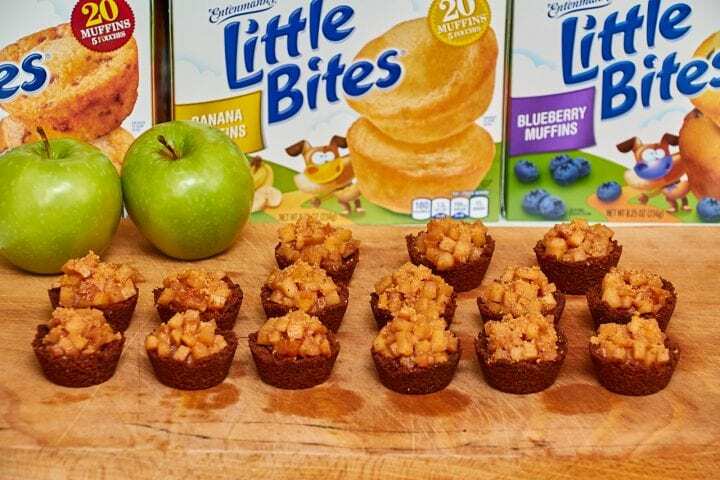 This Mini Cinnamon Apple Crisps Recipe post was sponsored by Entenmann’s® Little Bites®. All opinions are my own. For me, when I think of fall, the scent that always comes to mind is cinnamon. Cinnamon is one of those scents that makes me think of the autumn season no matter what time of year. This is my favorite time of year so it is no surprise that I tend to have a lot of recipes with cinnamon or other things we associate with fall. 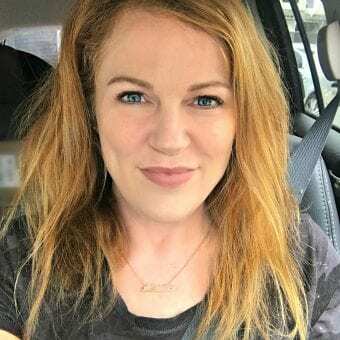 I talk about Entenmann’s® Little Bites® a lot on this blog. 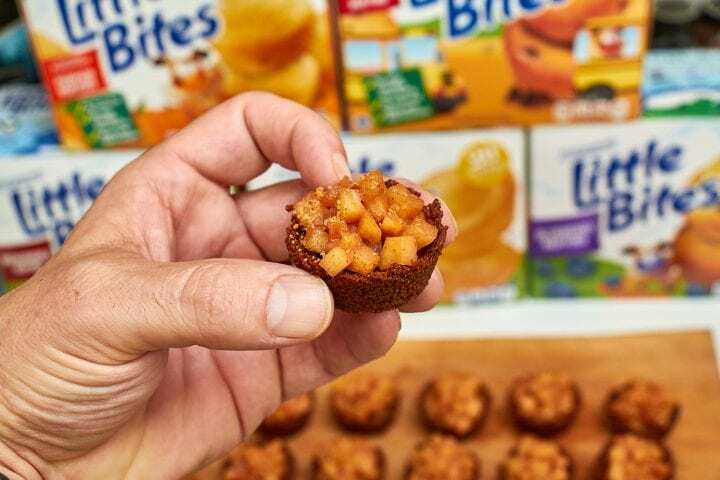 Everyone in my family loves Little Bites® so it was only natural that we would partner with them. We have created some fun recipes and attended some really cool events as part of this partnership. This month they asked us to come up with something fun for back to school. Since our kids love to create and assemble, we came up with a snack that is absolutely perfect for little hands to make and eat. 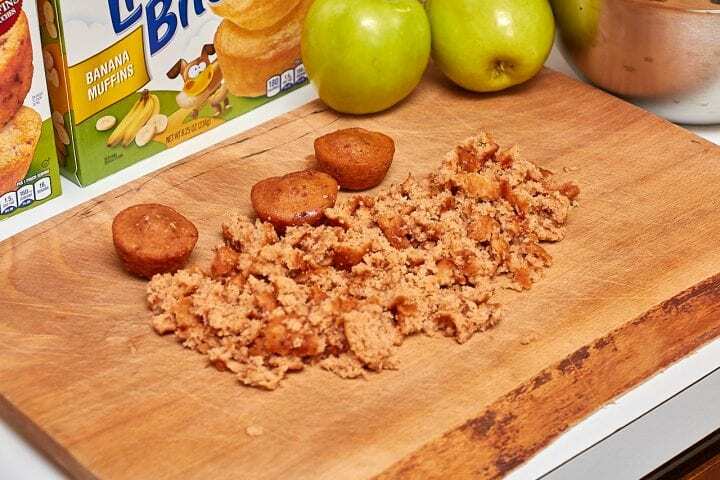 This Mini Cinnamon Apple Crisps Recipe makes 15 mini crisps that your who family will love. That is, if you share. 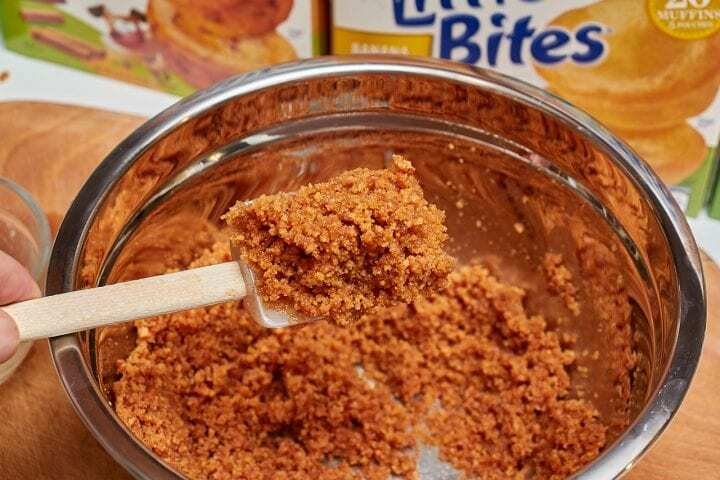 Break up all of the Little Bites® muffins into small pieces. Place on a baking sheet lined with parchment paper or a silpat and bake for 20 minutes, stirring occasionally. The goal here is to dry out the muffin crumbs. After 20 minutes, remove muffin crumbs from oven and cool. 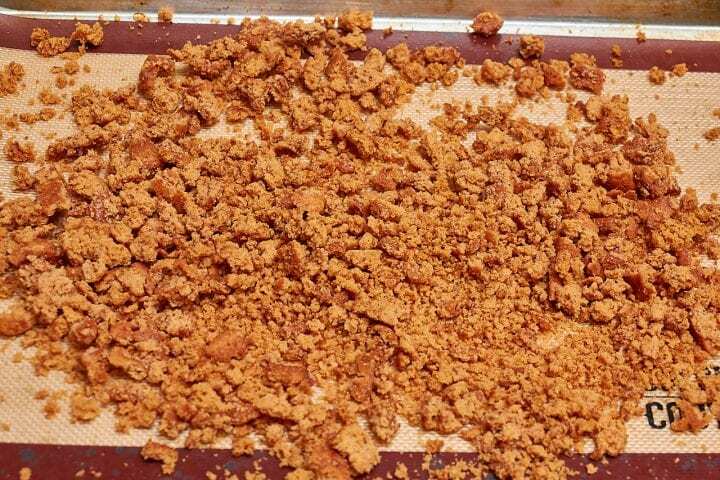 Once cool, measure out 1 ½ cups of crumb and reserve the rest (it should only be a couple of tablespoons). 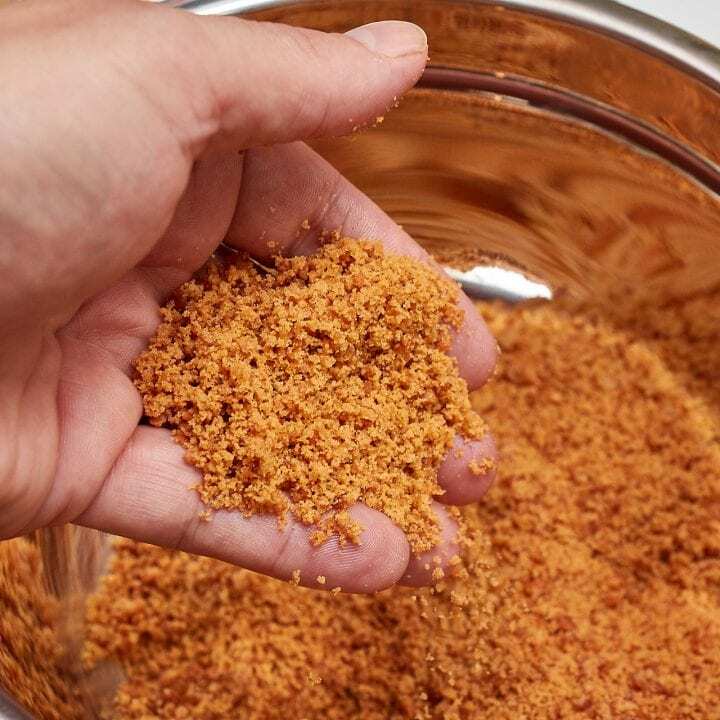 Place the 1 ½ cups of crumb into a food processor and pulse until you have a finely ground crumbs. 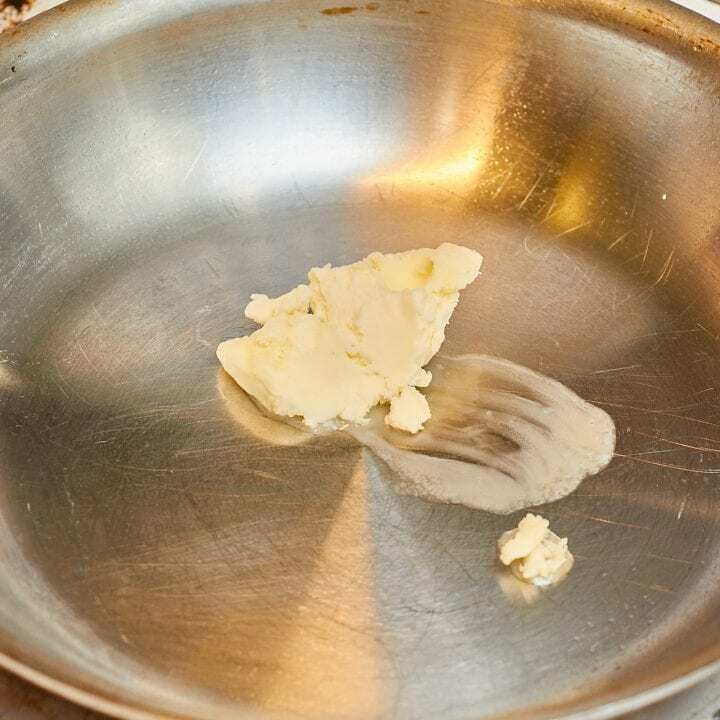 Melt the butter in a medium sized sautee pan over medium heat. Add the apples and toss to coat with the butter. Add the sugar and cinnamon. 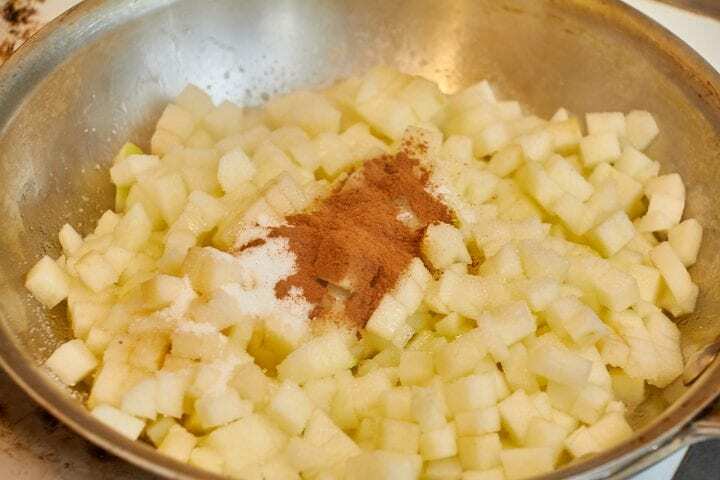 Toss to coat, and then cook the apple mixture until any liquid that is released becomes thick (about 10 minutes). Set the apples aside to cool. 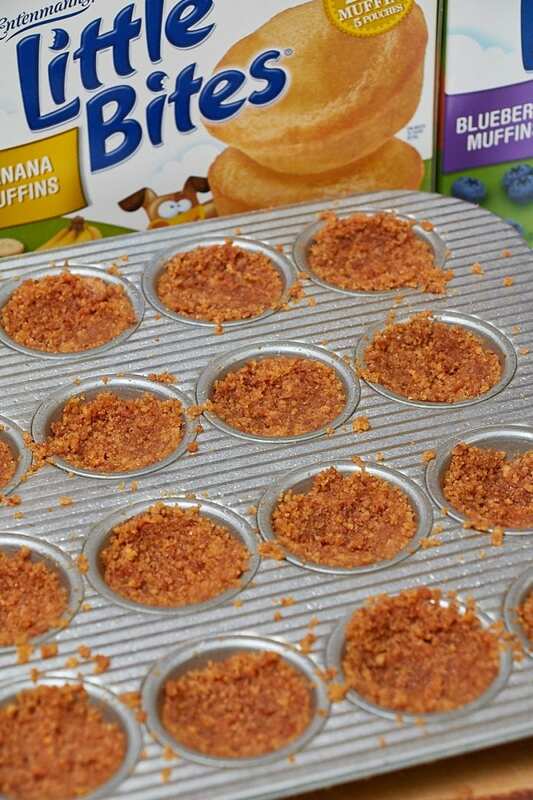 Using a small muffin pan, press the butter and crumb mixture into each muffin holder, creating a crust. Bake for 12 minutes. Remove from oven and allow to cool. When your kids are finished enjoying their Little Bites®, don't throw away those pouches! 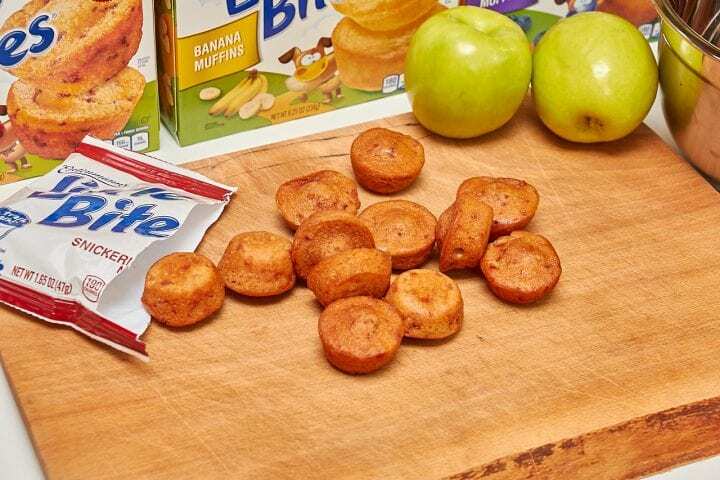 As part of its continued partnership with TerraCycle, Entenmann's® Little Bites® will run a collection contest to encourage schools to collect and recycle their snack pouches in celebration of the upcoming back-to-school season. 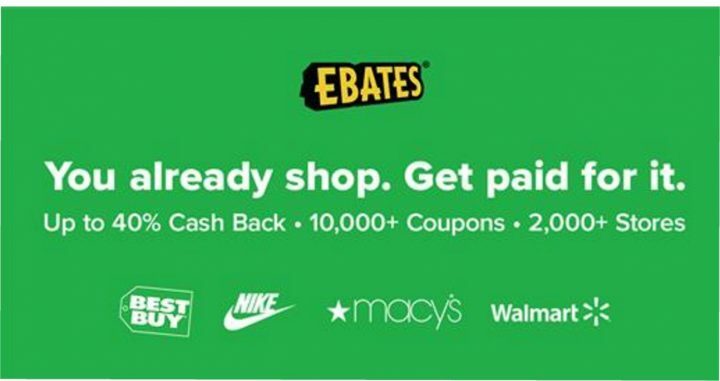 Participants will be able to win free snacks and earn TerraCycle points, which can be redeemed for charitable donations to schools and non-profit organizations. 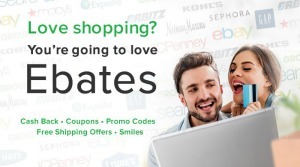 TerraCycle is a global leader in recycling hard-to-recycle waste that aims to give back to the communities they serve by providing fundraising opportunities such as this one. 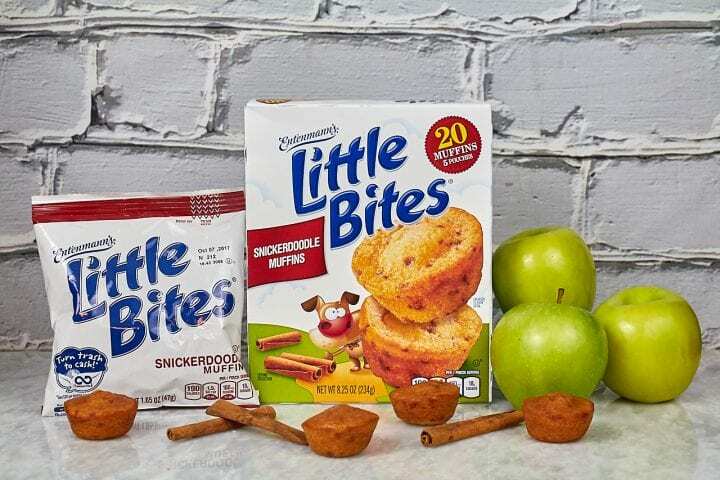 We hope that you loved our Mini Cinnamon Apple Crisps Recipe made with delicious Entenmann’s® Little Bites® in the Snickerdoodle flavor. They were crisp, juicy and delicious. We will definitely make them again. This is pure genius! I have never thought about using these muffins for anything other than straight up eating! We love these Little Bites! 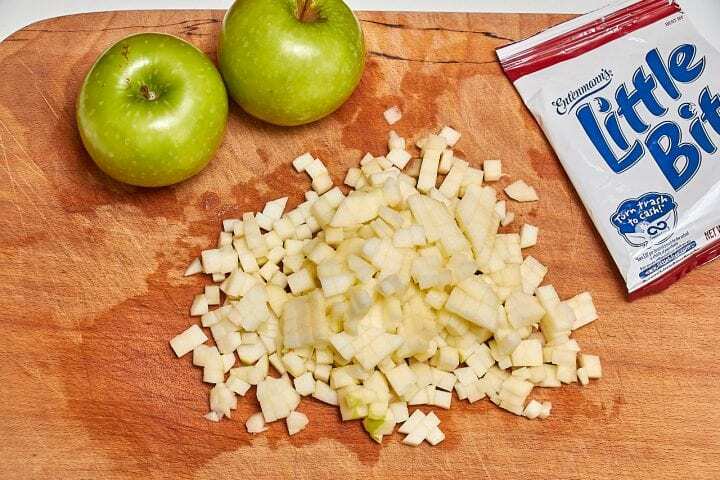 I have never thought to use them in other ways outside of gobbling them up right out of the package, but these mini apple crisps sound amazing! I can’t wait to try the recipe! Oh my goodness how good do these sound, there is something wonderful about a cinnamon and apple together, they make for a delicious flavour. I agree. 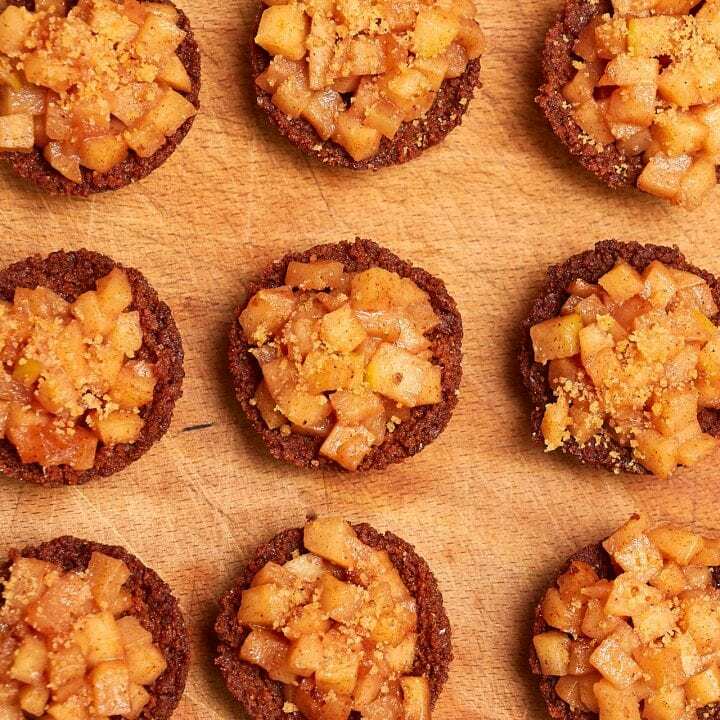 Cinnamon and apple combine to make the perfect fall pairing. It just screams autumn. This sounds like such a delicious recipe. I never would have thought of something like this. Thanks for sharing. That looks and sounds like a yummy recipe! I’ll have to try this sometime. I love easy recipes like this. Full of fall flavors, too! That’s so nice! I love apple and cinnamon together, it’s one of the best flavor combinations and I’d love to give this one a try! It’s really easy to make! These look absolutely amazing! I have got to make these. My son would go crazy for them! I like that I can turn in the pouches for charity too. That is great! I love fall and I love apple season but with two big trees in our yard full of apples I’m always in search of new ways to use them up. Thank you for the new idea. I have these at home! Will make them tomorrow morning, my husband loves these little bites. Thanks for the easy recipe! I am always looking for new treat recipes to try. 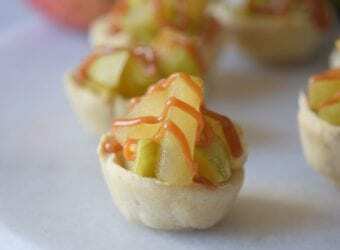 These Mini Cinnamon Apple Crisps look so delicious and easy to make. I will have to give the recipe a try on the weekend. Yum! 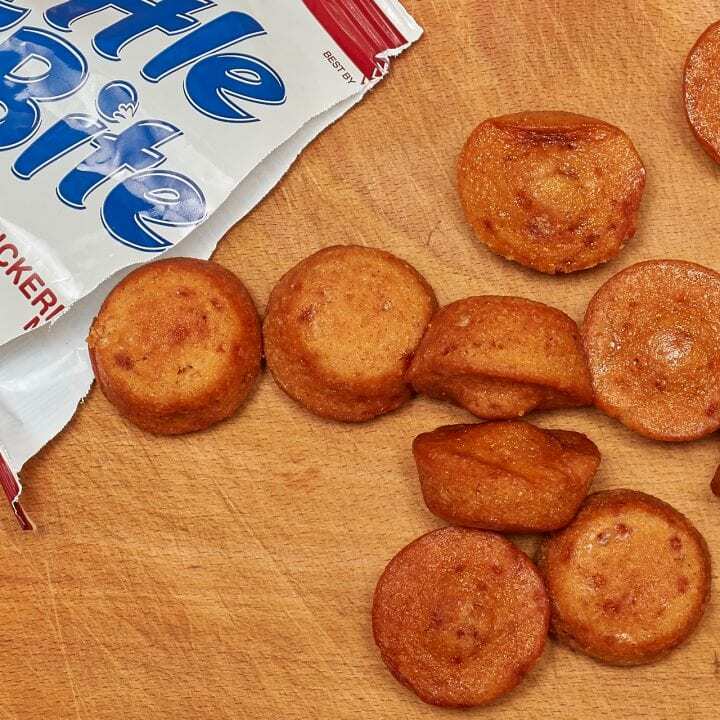 Little Bites are a lunchbox essential around here and the convenient packs make it easy. I need to find the snickerdoodle flavor since it’s one we have yet to try! These look really delicious. I bet they would be great in a lunch bag as a delicious treat for school lunches. There is nothing better than delicious desserts. These are perfect for fall and great as a snack! I just saying to myself how I’m in the mood for something apple-y. Love the fact that these are smaller and more bite-sized. So cute! This recipe looks absolutely delicious. I love cinnamon and apple anything. It just seems so natural, like they belong together. I will try these this weekend with my girls. Thanks for sharing! These look SO good! I love little bites muffins and LOVE anything with crisp on it! Thank you for showing us how to make this easy and delicious treat! 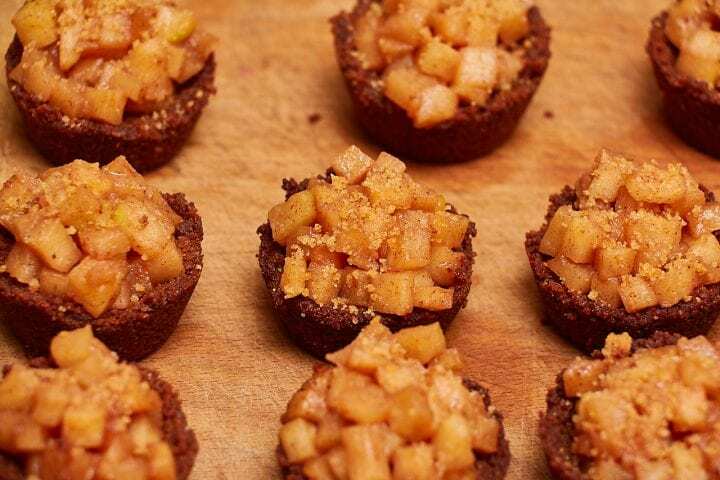 Oh my, these mini apple crisps sound and look amazing!! I need to try this recipe ASAP!! YUM!! Oh these look really tasty! Apple and cinnamon is one of the best culinary marriages. Always a winner, however you use it. Saving this recipe and making a huge batch soon! Oh my goodness! What an awesome idea! 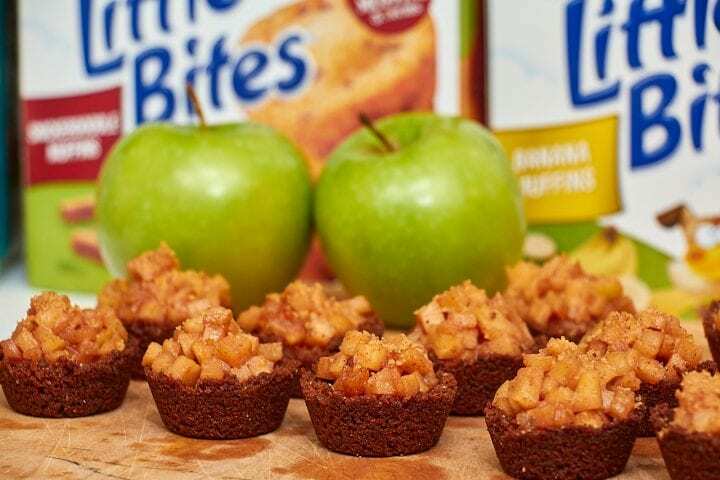 I would have never thought to add apples AND yummy crumbs to the tops of the Entenmann’s® Little Bites®!! Yummy! This looks so good! I love cinnamon everything so this would be perfect for me to keep in the house at all times! These look amazing. 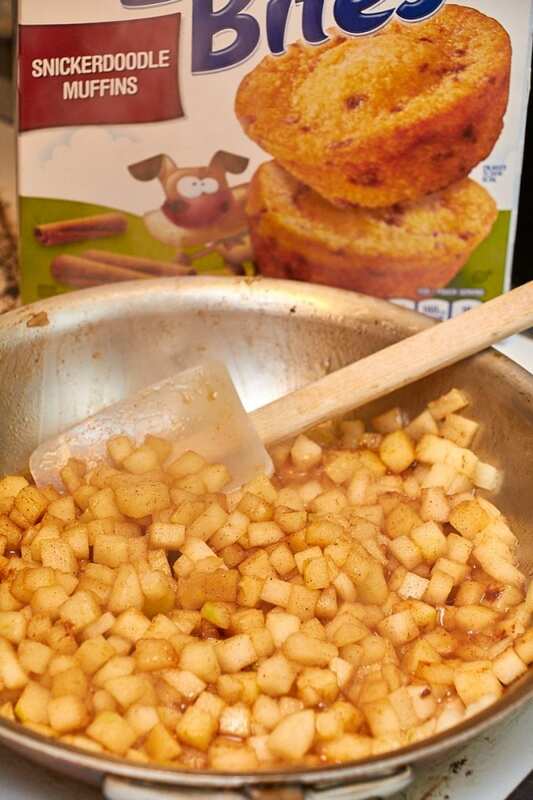 I love apples and cinnamon.. and those muffins are one of my favs. Those look amazing! 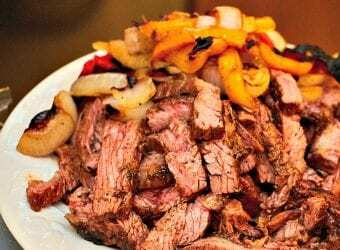 A recipe like this is perfect for me because it tastes great, and it’s practically made already! Yay! What a brilliant way to use these! I bet they are warm and delicious and taste like FALL! Totally making these! Oh my gosh! What a really great idea! Looks very tasty and I love apples, perfect time of year for this treat. Ok now that is a great idea! Less work and tasty equals yummy and fast! I am all about that! I will defiantly try these! This is such a great idea. I would love to make these. I know they’ll be a hit with my daughters. These are so cute! I love the concept and how you used the Little Bites as the shortcut! What a great idea. We eat these mini muffins all the time! I’m literally scrolling through this post drooling! This is such a great idea! And a perfect shortcut. Love Little Bites. My kids will eat these right up. Apple and Cinnamon are the best Fall flavor combo! 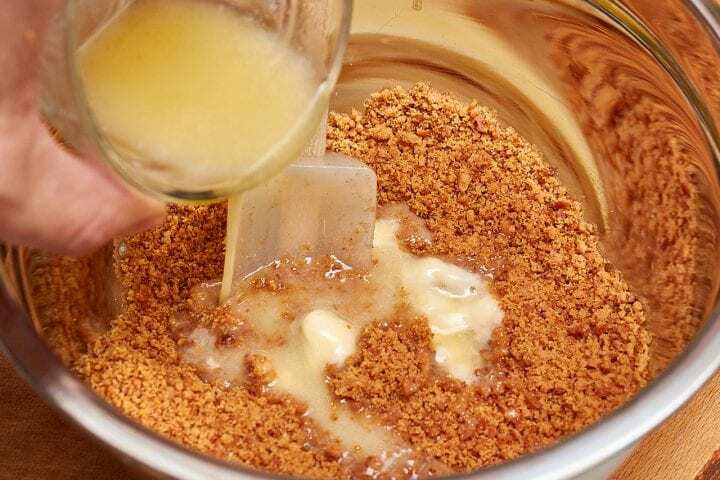 I like how easy but delicious your Cinnamon Apple Crisp recipe is to make. Cinnamon and apples are one of my favorite combinations. These look like they would be super good! These would be perfect any time of the day. I am going to have to make these and see if my kids love them as much as they look like they would. Little Bites are always a popular snack in my house. These look so delicious and easy to make. I will have to get all the ingredients and give this recipe a try. These look so yummy! I totally wouldn’t have thought to make these mini muffins but what an awesome idea. This looks really good!! I will definitely try it this weekend! 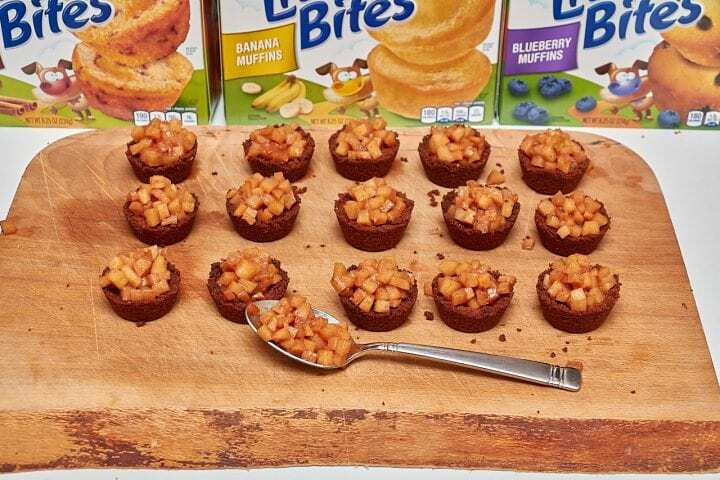 That mini apple cinnamon crisps look absolutely delish. 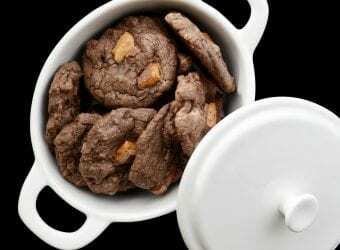 I love the creative idea of using two items making it into one yummy treat. Those little bites are addicting! I actually never thought to use them as a base for a recipe. Cool idea! Anything with cinnamon is always a hit over here. And my boys will definitely be jumping for joy once they see those little bites. I am a huge fan of the small one bite type snacks or appetizers for holiday gatherings. These are perfect for this year! Oh my these look delicious. My inner fat girl is slowly starting to crawl out haha. I am for sure going to give these a try. So easy to make too. oh, my goodness! These are awesome treats. I would love to try this for sure. Thanks for sharing! These look amazing. I’ve been wondering what to do with the Granny Smiths I have and now I kow! Mmmm… those look ridiculously good! I think I might make me some of these this weekend. My mouth is totally watering! These look like the perfect after school snack! I bet my daughters are going to LOVE them.